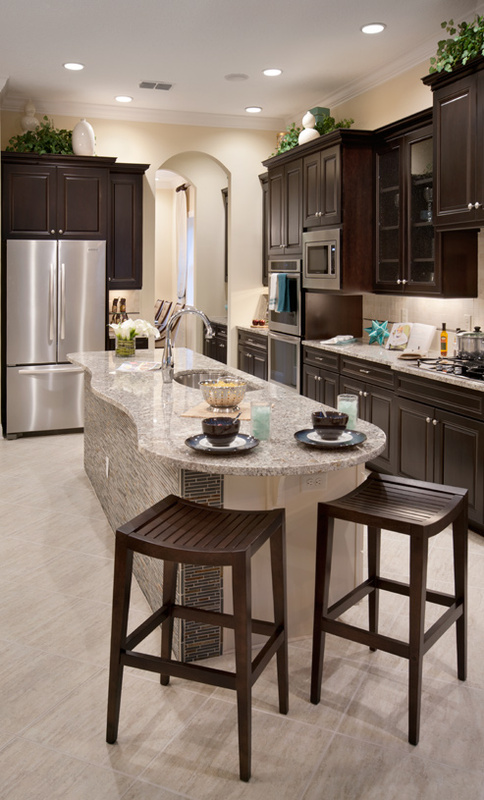 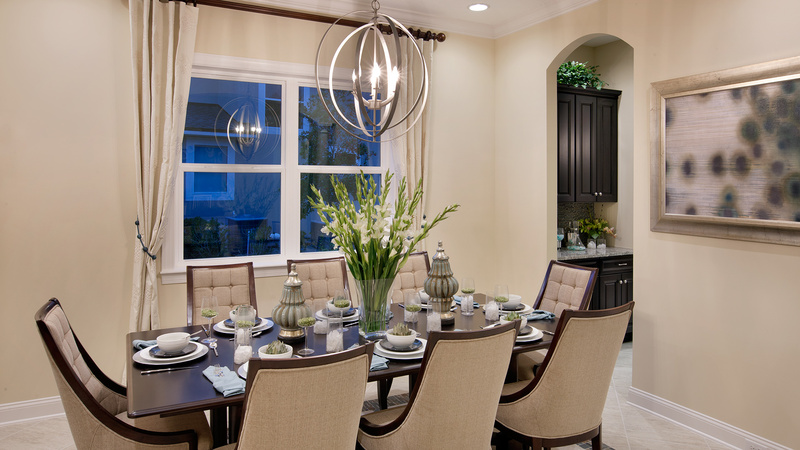 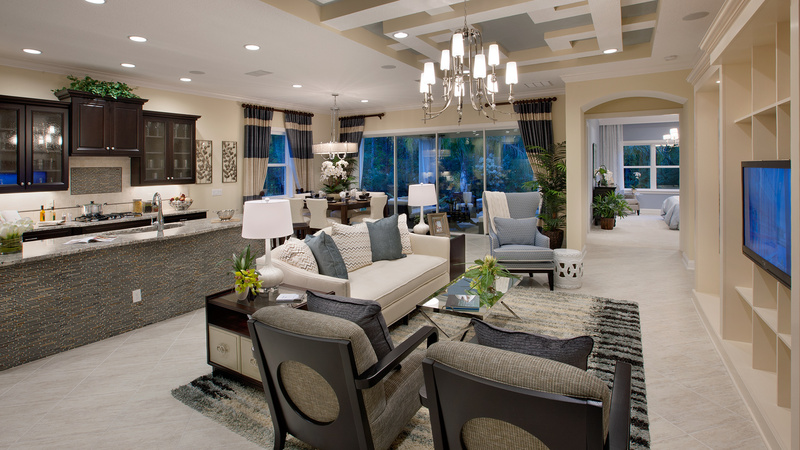 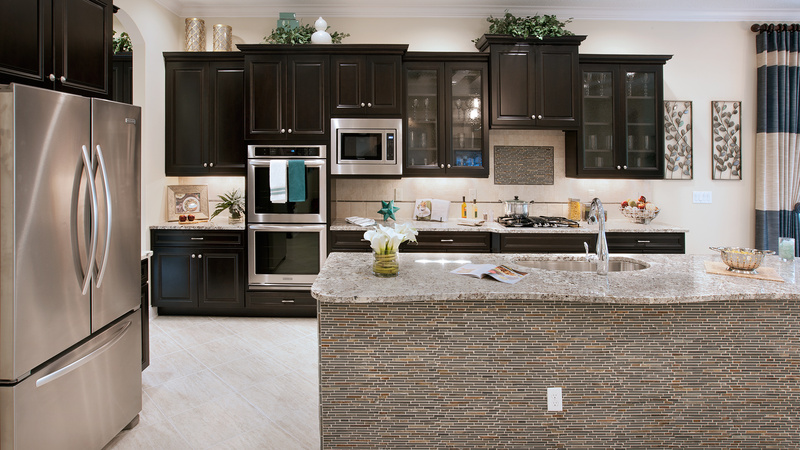 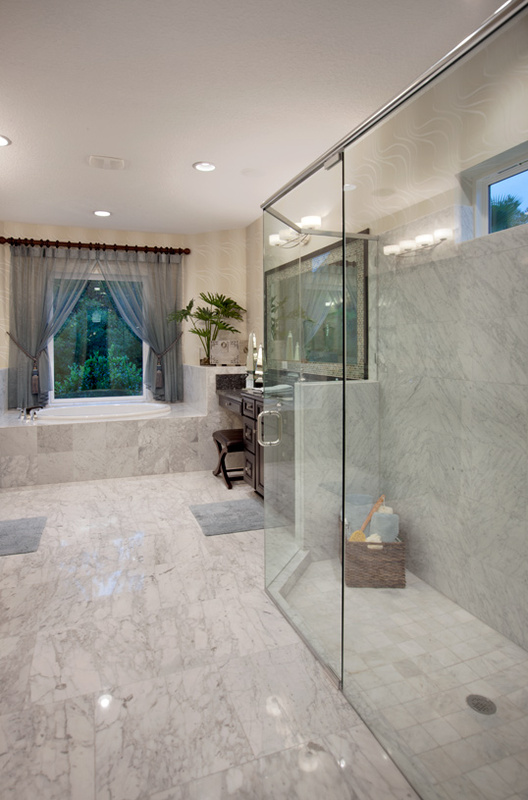 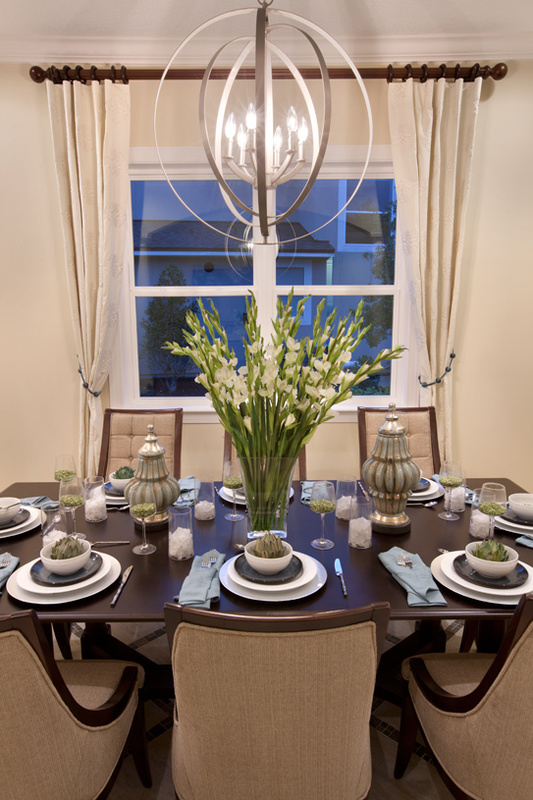 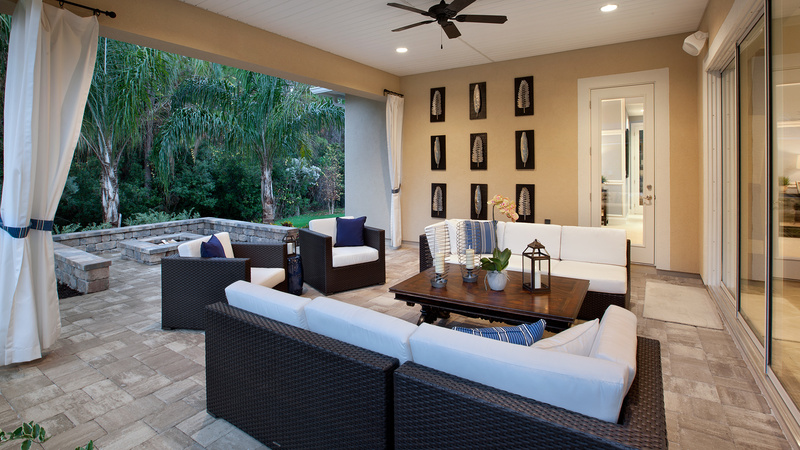 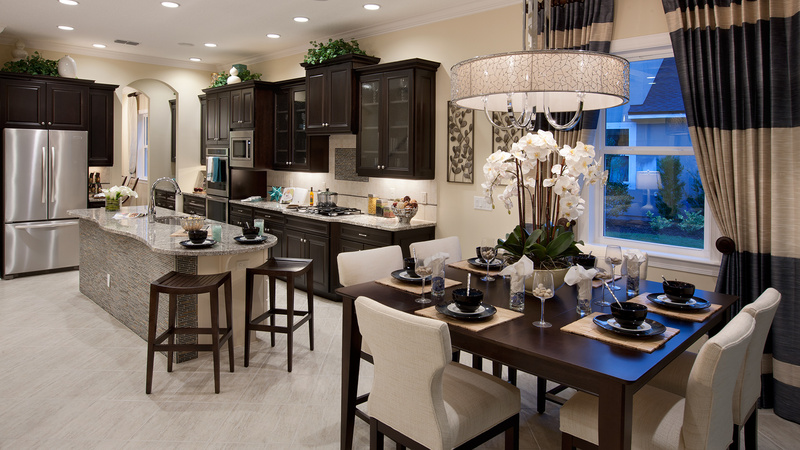 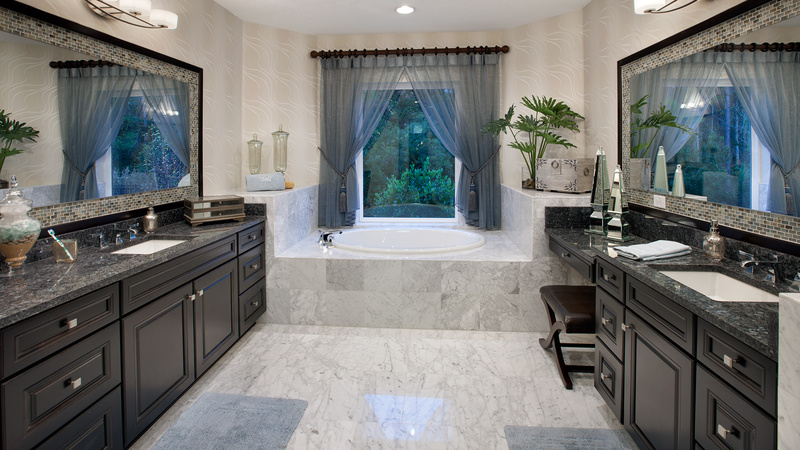 Deluxe contemporary design and style. 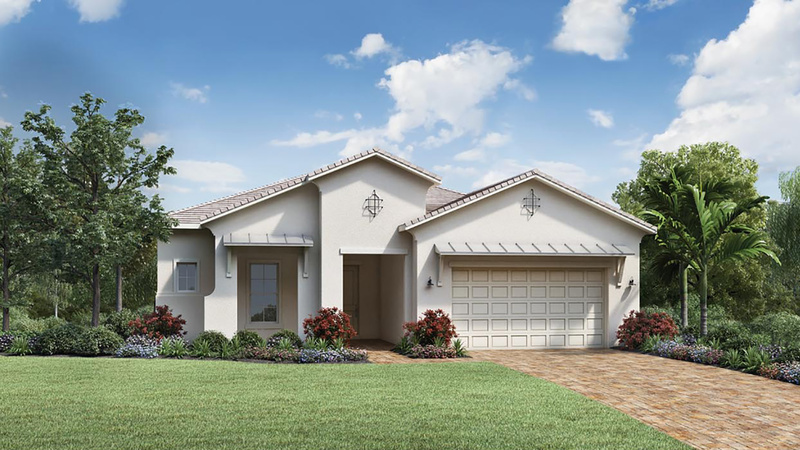 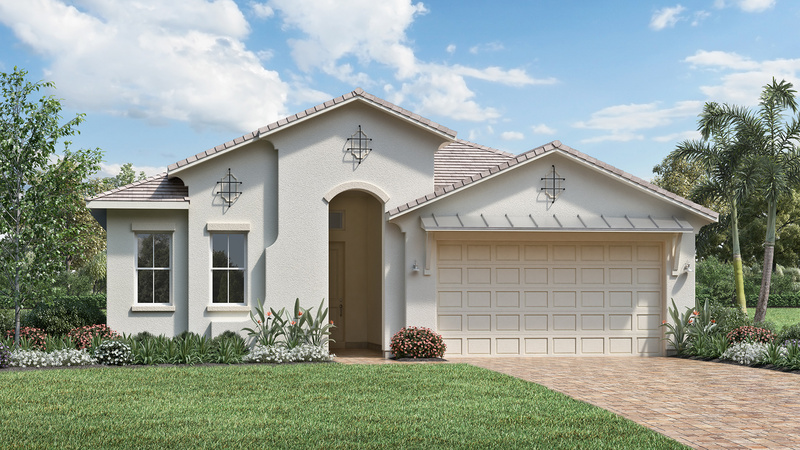 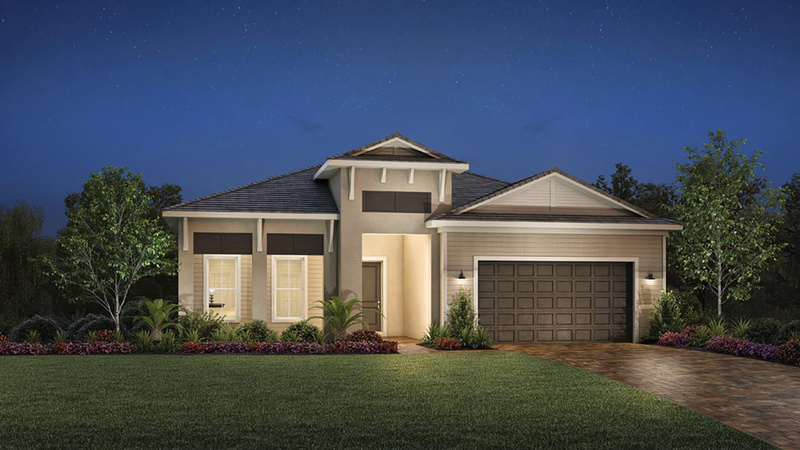 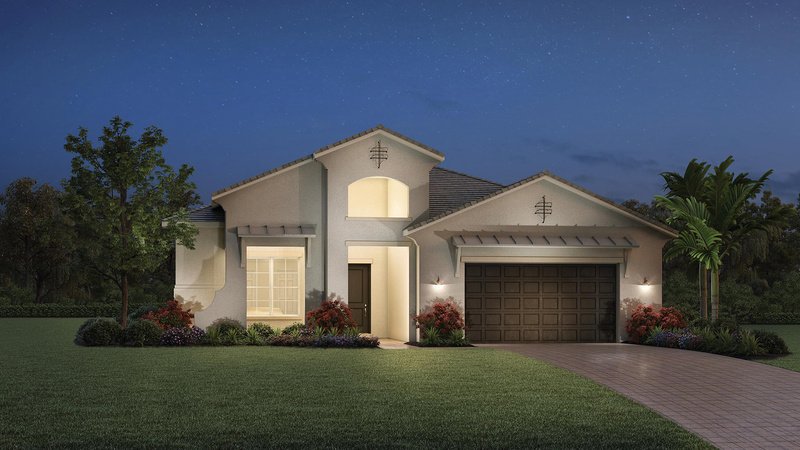 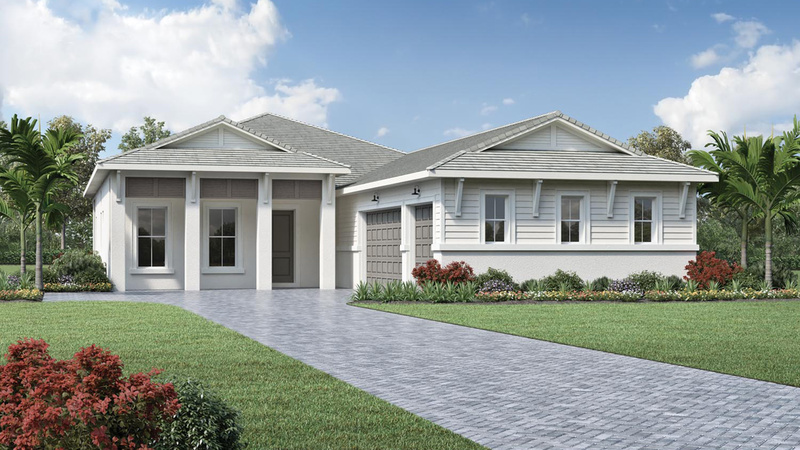 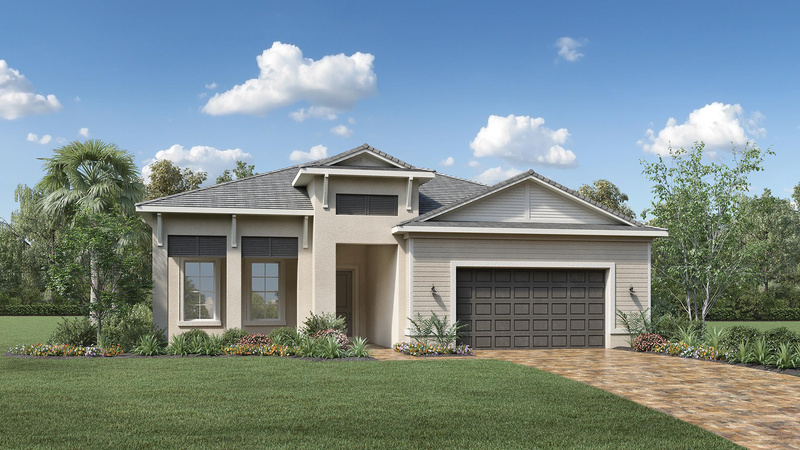 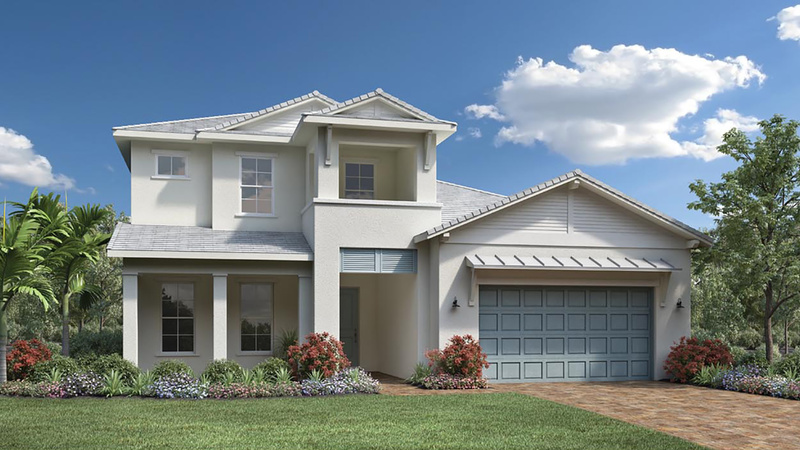 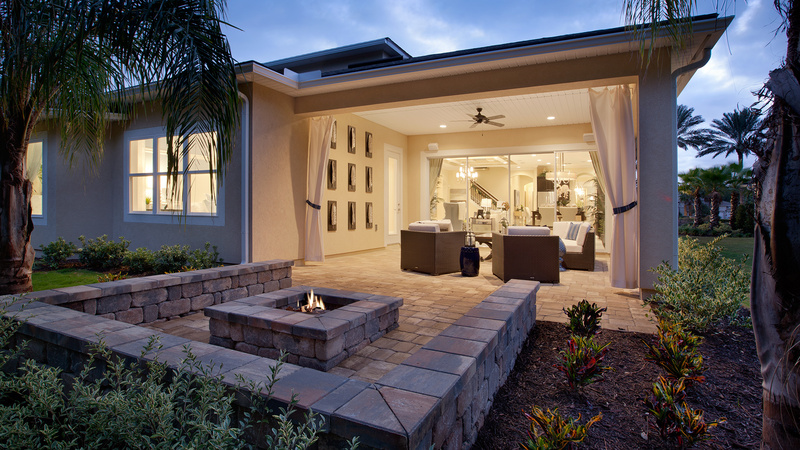 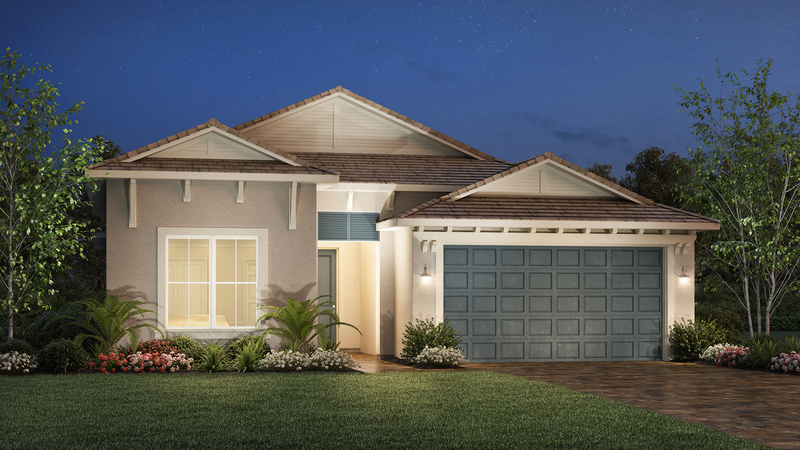 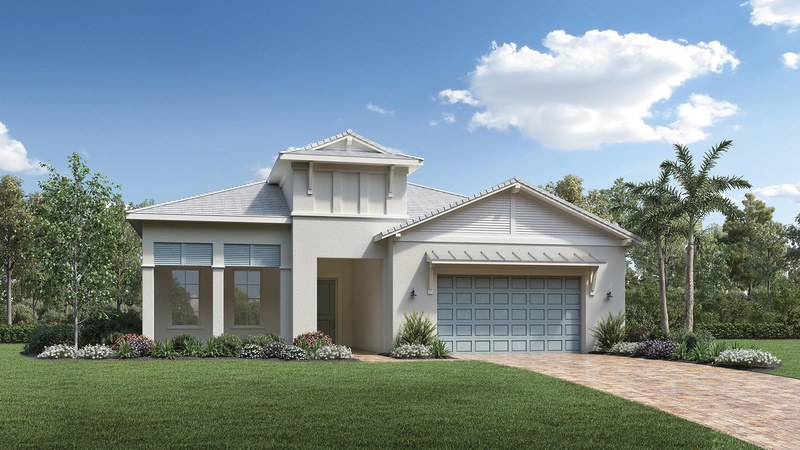 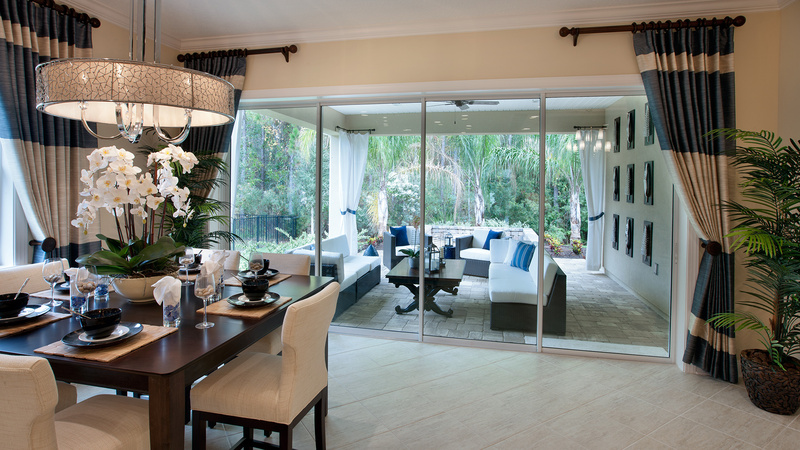 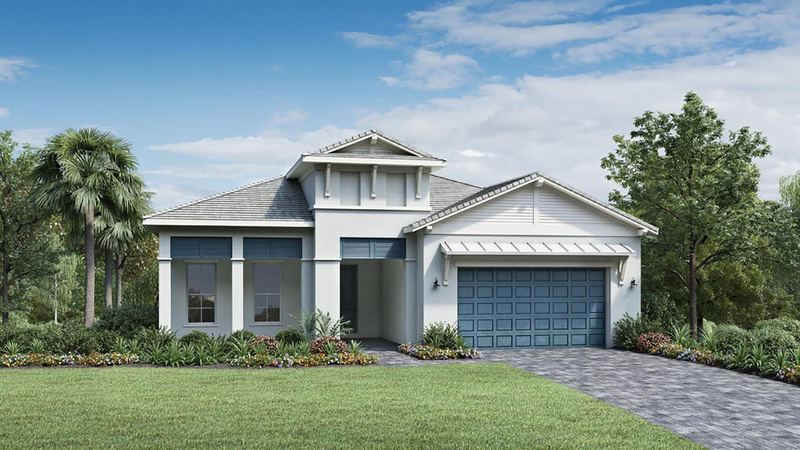 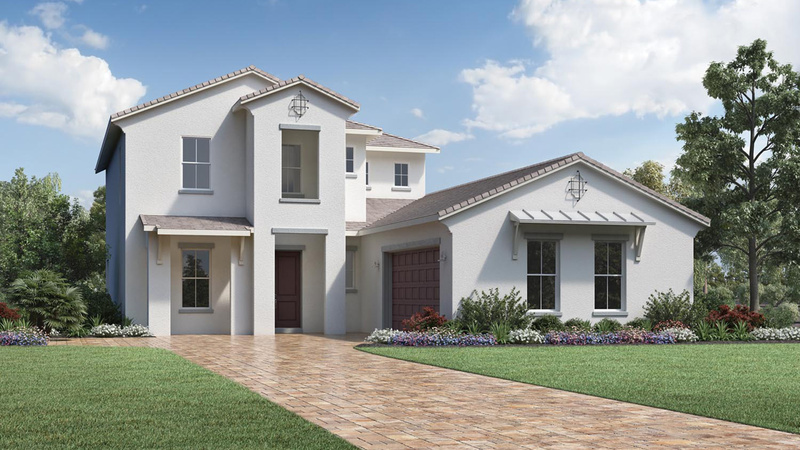 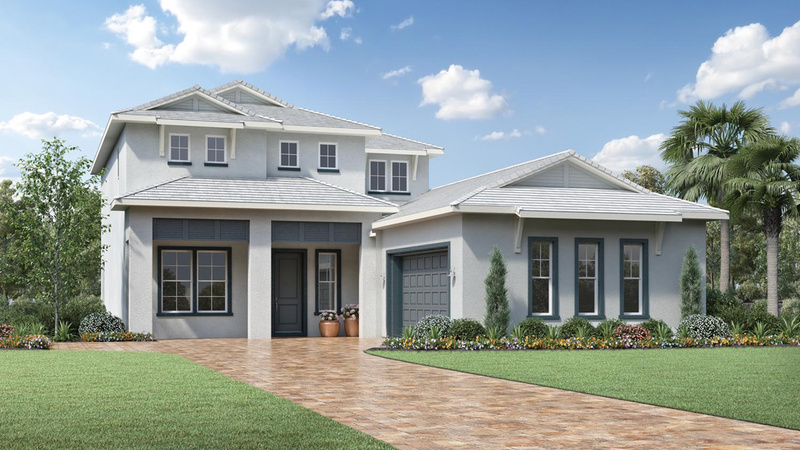 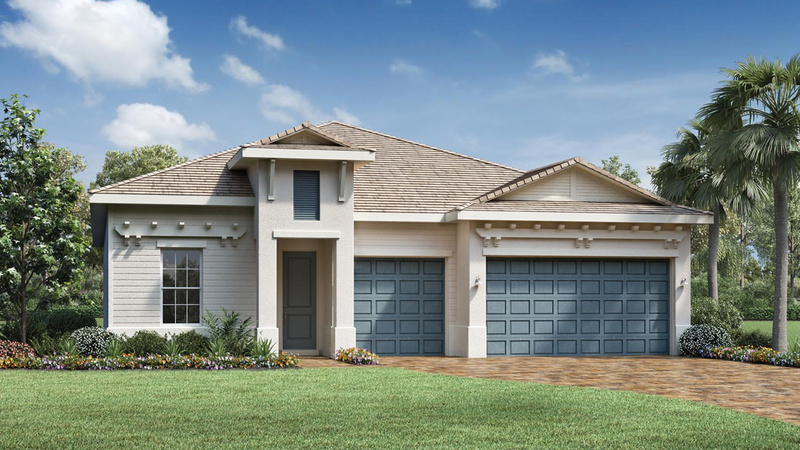 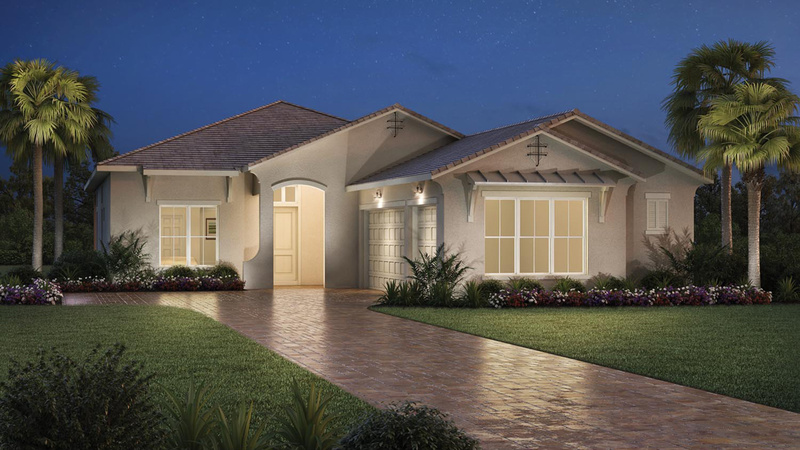 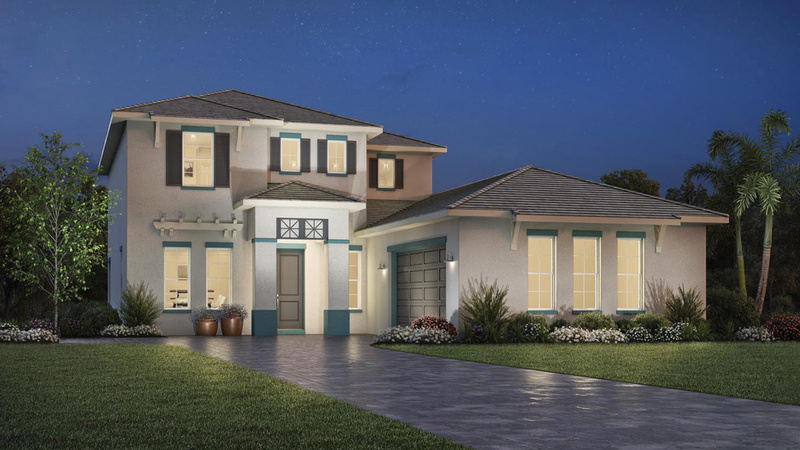 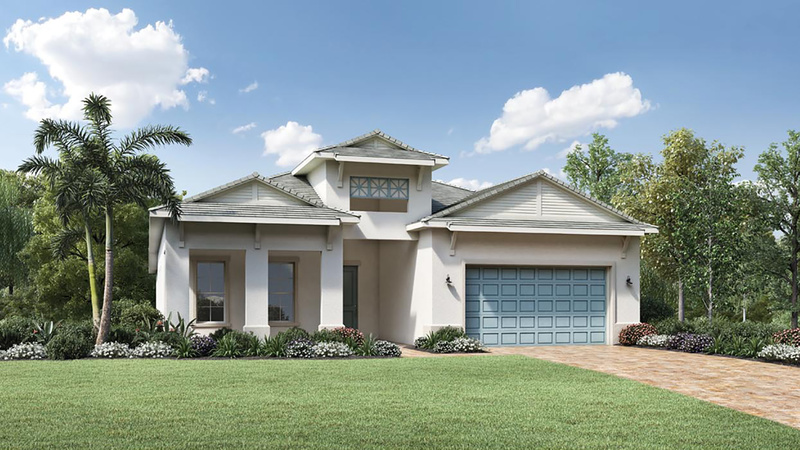 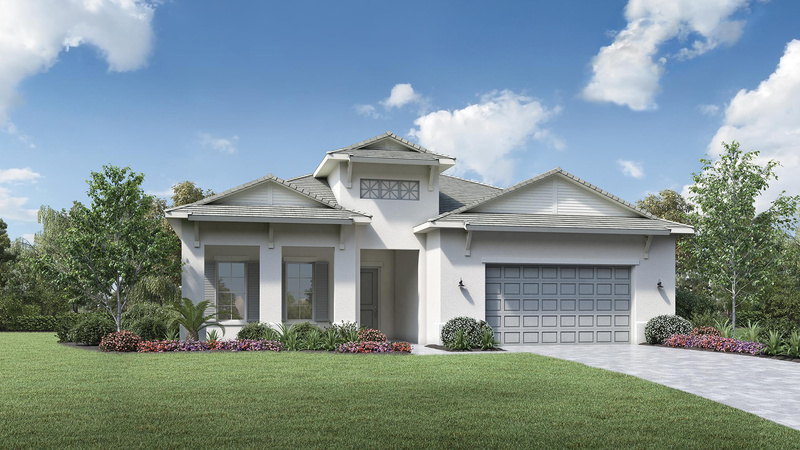 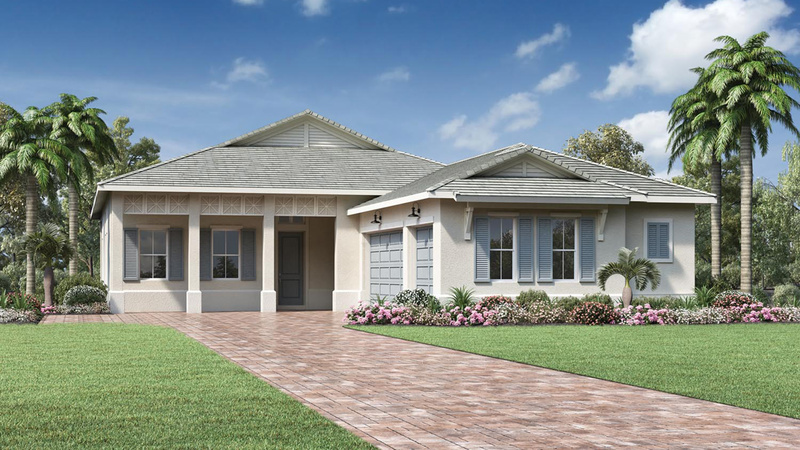 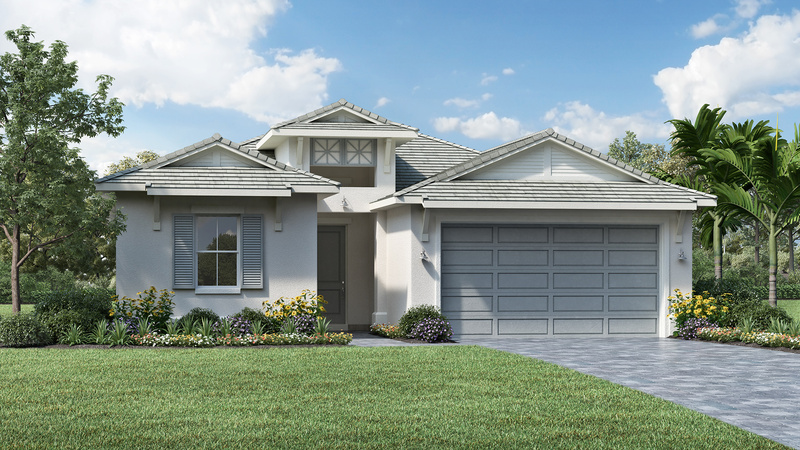 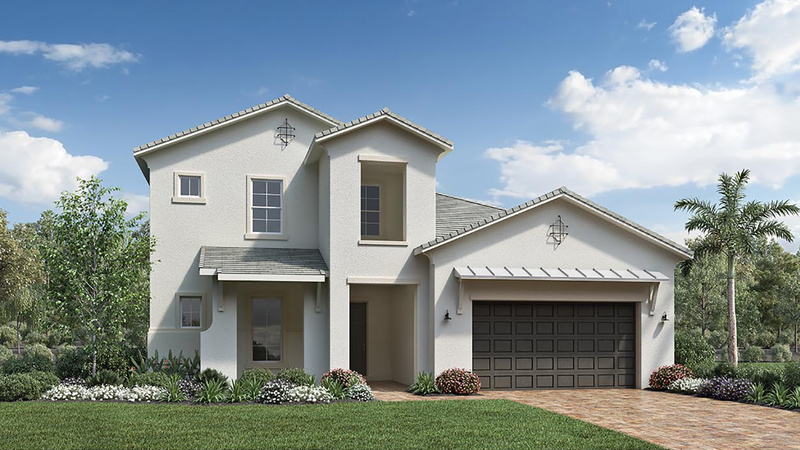 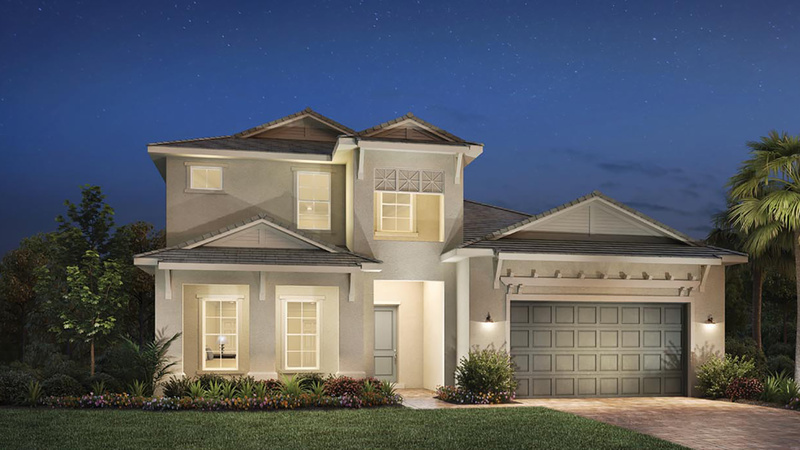 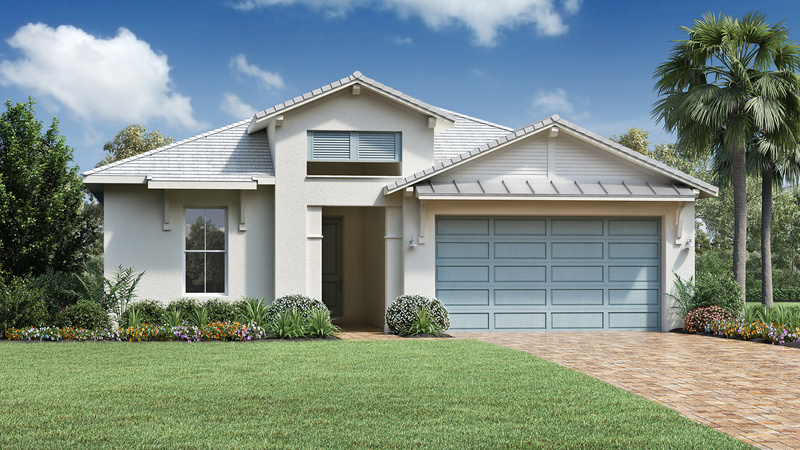 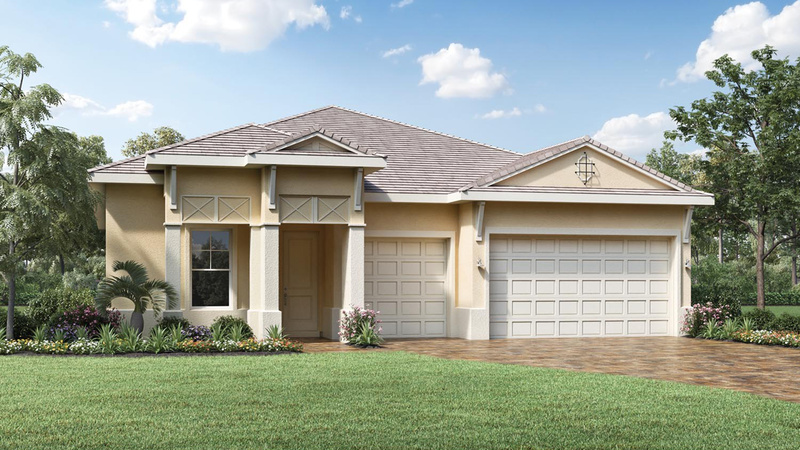 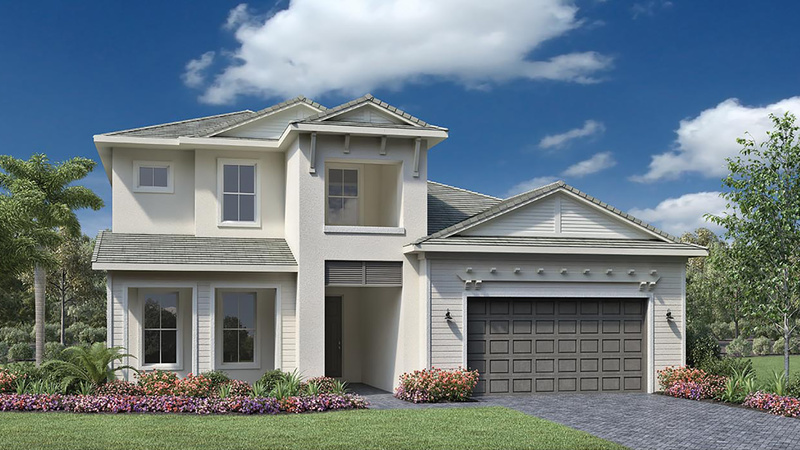 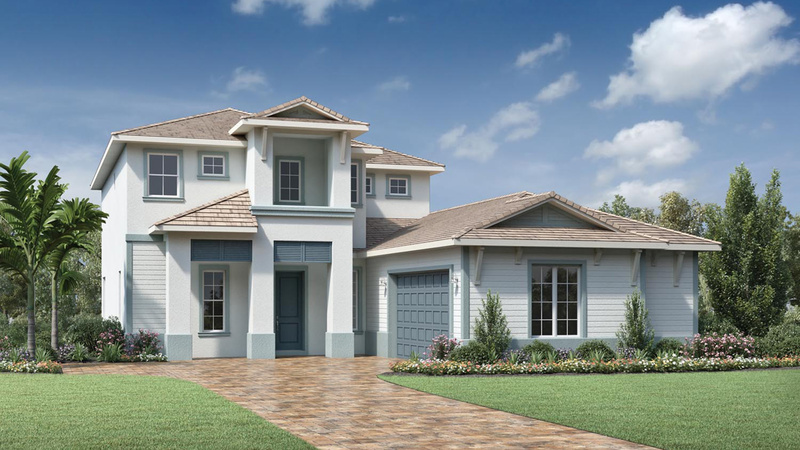 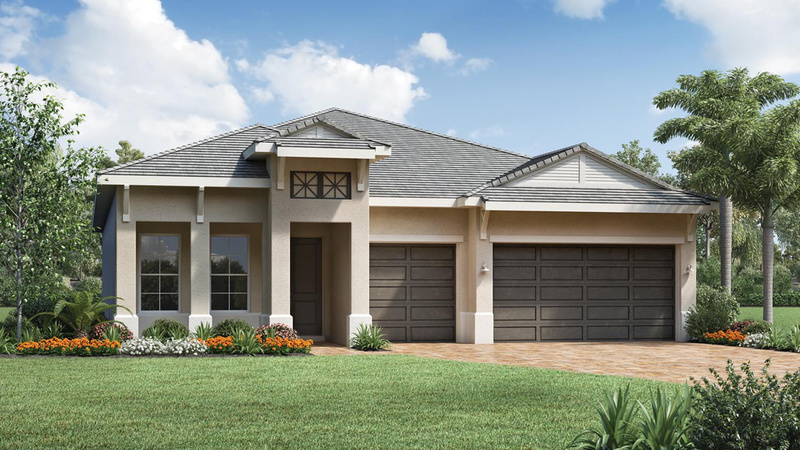 The Carver Elite's impressive two-story covered entry and foyer open onto the expansive great room with coffered ceiling, sunny dining area, and desirable covered lanai beyond. 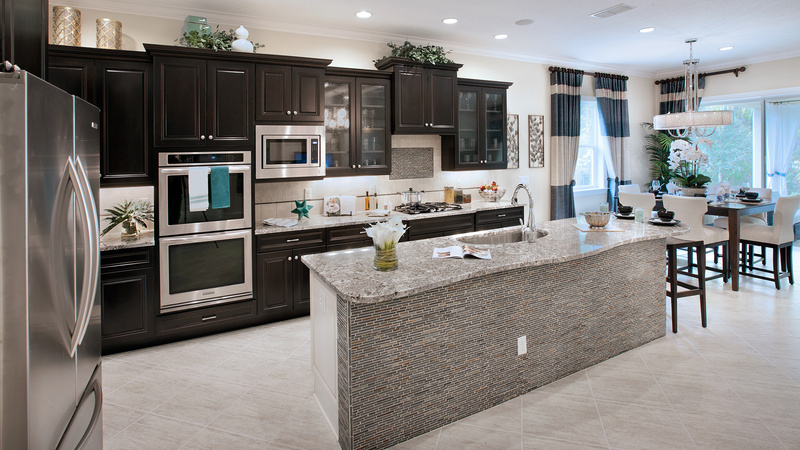 The well-designed gourmet kitchen is equipped with a large center island with breakfast bar, plenty of counter and cabinet space, and sizable walk-in pantry. 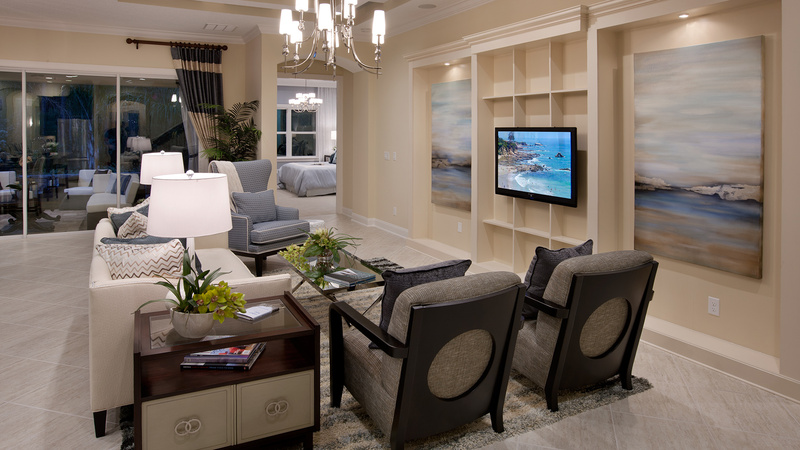 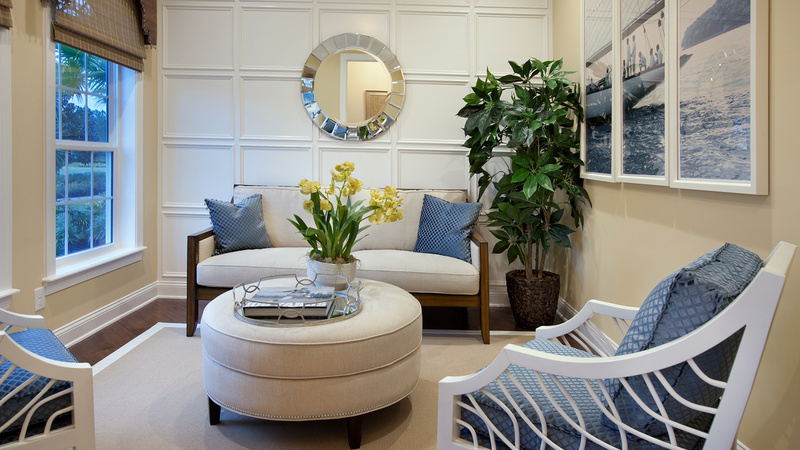 The beautiful master bedroom is highlighted by an elegant coffered ceiling, dual walk-in closets, and deluxe master bath with dual-sink vanity, large soaking tub, luxe shower with seat and dressing area, linen storage, and private water closet. 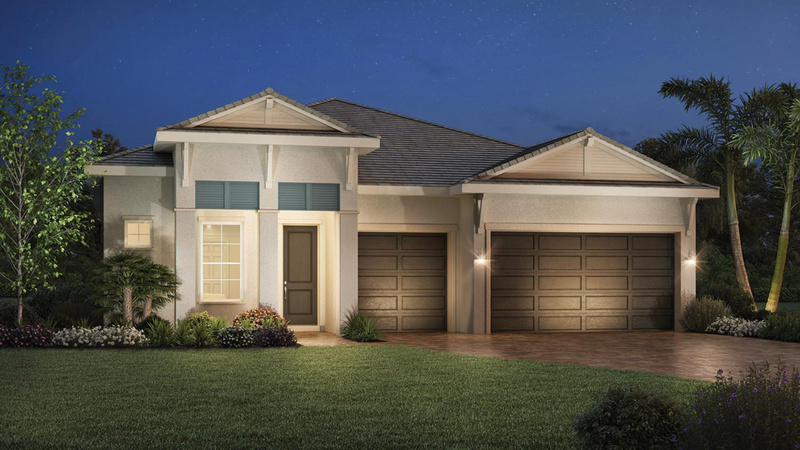 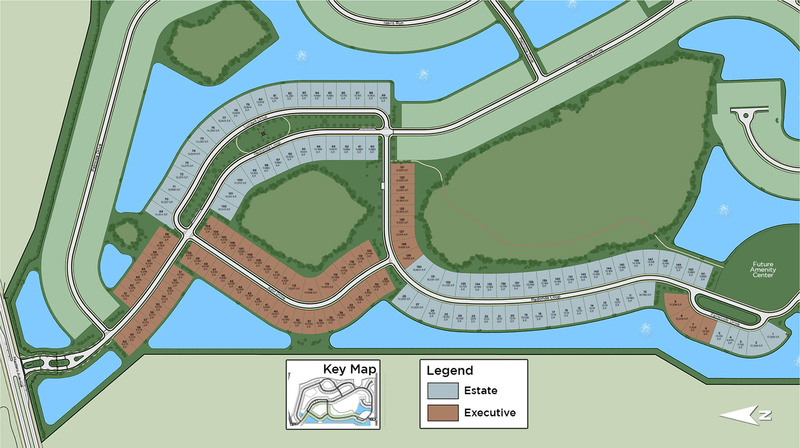 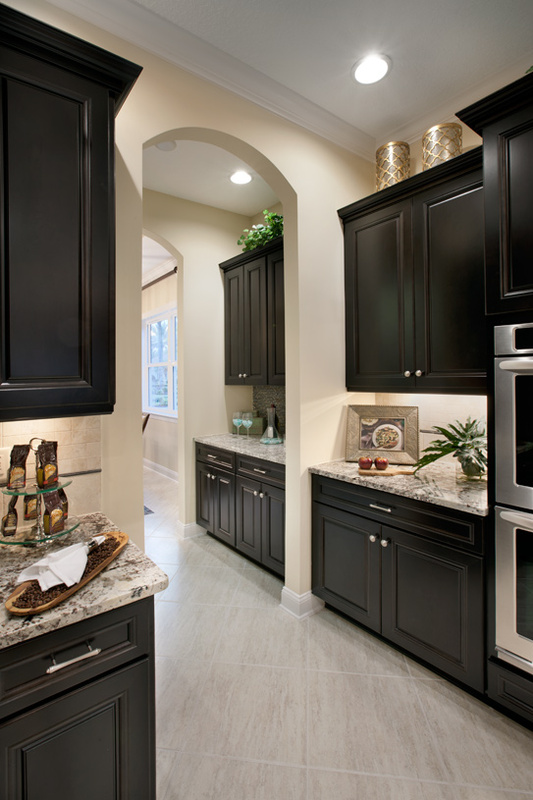 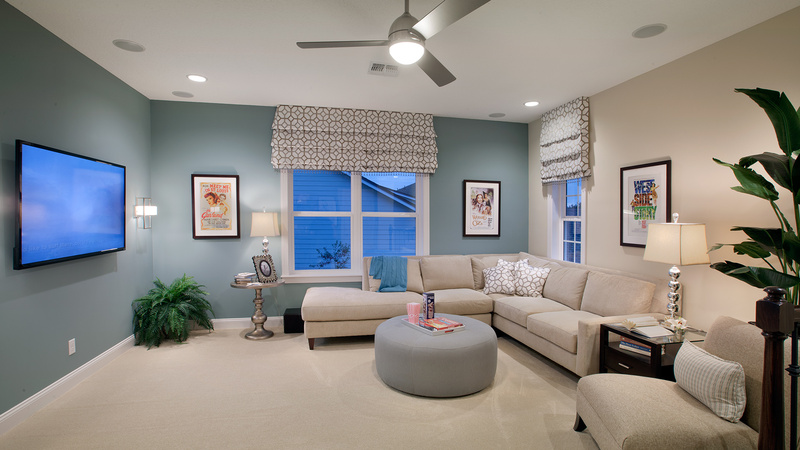 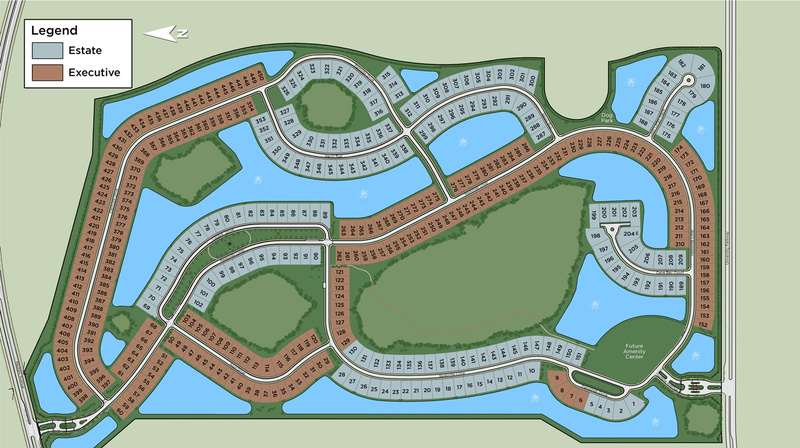 Secondary bedrooms feature roomy closets and private full baths. 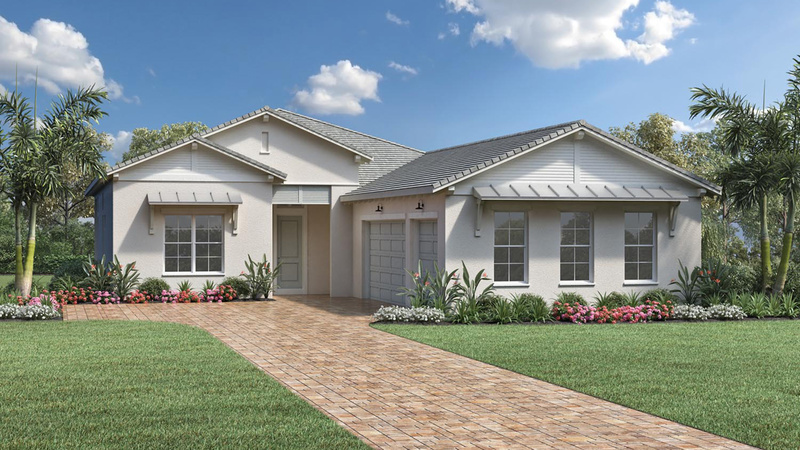 Additional highlights include a spacious private study off the foyer, convenient powder room, centrally located laundry, and additional storage throughout.